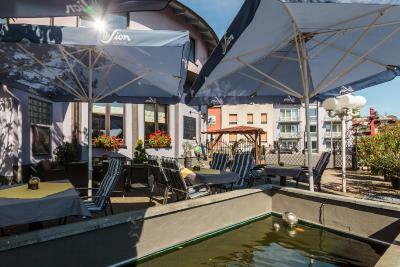 Lock in a great price for Hotel Kasserolle – rated 8.3 by recent guests! The dining area and food were great, and I really felt right at home there. 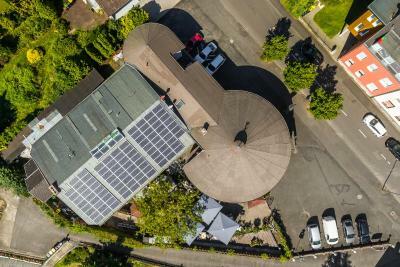 The staff is incredibly friendly and helpful, and everyone spoke very decent English. 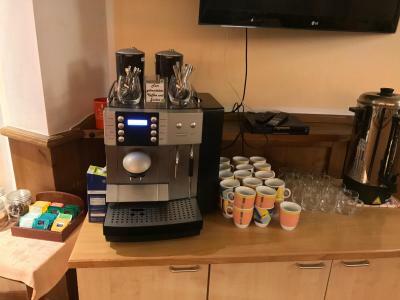 Oh, and the espresso maker at breakfast was great. It is like staying with family; the decor is hodgepodge but you have everything you need, and more; comfy with lots of little extras. The staff is very friendly and helpful. 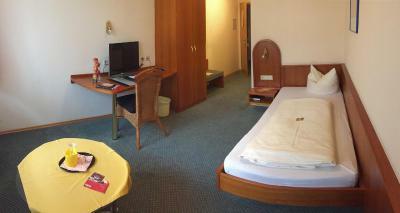 Staff friendly as always; rooms very large and clean. The hotel owner/receptionist was very nice and I appreciate that this is a family-owned hotel. 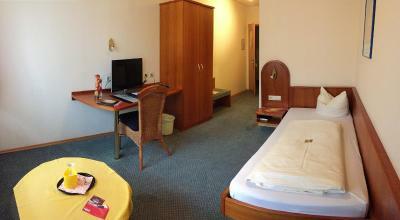 The rooms were spacious and clean. The room was very wide, old fashion but comfortable and very warm. Kettle with tea bags and coffee. Free mineral water. Breakfast good. 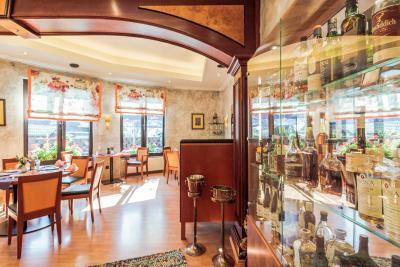 This is a family run hotel and has a very high standard. The staff are exceptionally friendly and make you feel very welcome. 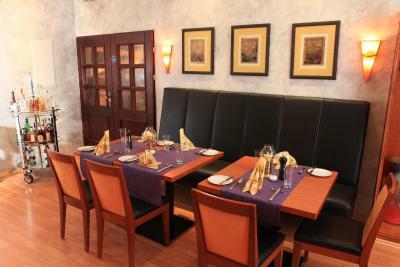 The food is excellent and we all had a great nights sleep in their very confortable beds. We will be booking in again next year, can highly recomnend this hotel! 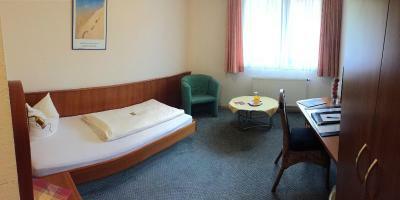 Large comfortable bedroom, Free mineral water from cooler, Excellent choice and variety of breakfast. Friendly and Helpful staff. 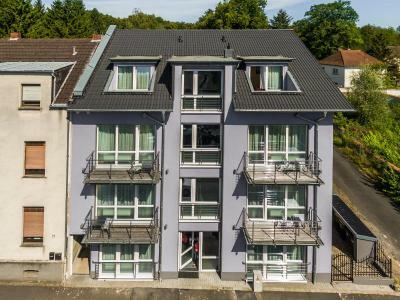 Hotel Kasserolle This rating is a reflection of how the property compares to the industry standard when it comes to price, facilities and services available. It's based on a self-evaluation by the property. Use this rating to help choose your stay! 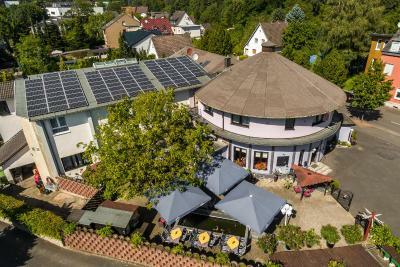 This family-run hotel is next to the A3 highway in Siegburg, just a 20-minute drive from Cologne-Bonn Airport. It offers free Wi-Fi and free parking. 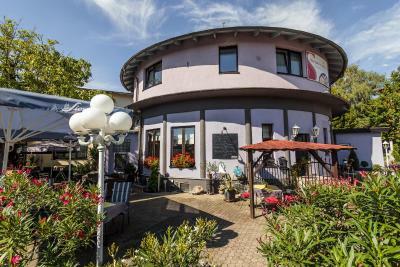 The historic Hotel Kasserolle was formerly a movie theater and then a restaurant. 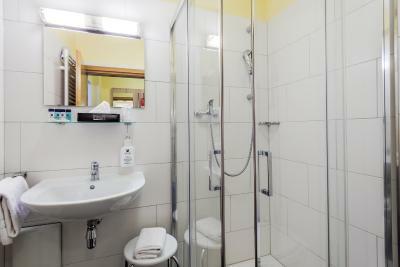 It today offers modern rooms with Sky satellite TV and tea/coffee facilities. 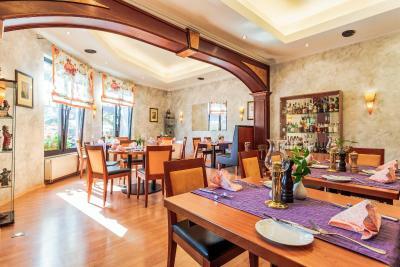 Kasserolle's restaurant offers a range of international meals made with regional produce. Only fresh seasonal ingredients are used. 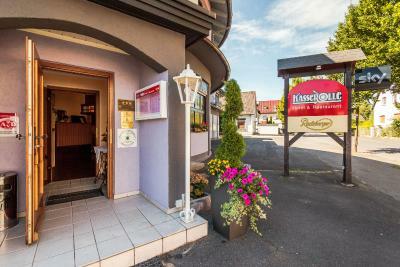 Hotel Kasserolle is surrounded by a scenic countryside, yet is close to the cities of Bonn, Aachen and Düsseldorf. To the east are the peaks of the Bergisches Land, and to the south are the Westerwald and Siebengebirge hills. This property is also rated for the best value in Siegburg! Guests are getting more for their money when compared to other properties in this city. 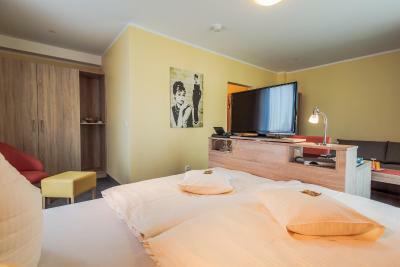 When would you like to stay at Hotel Kasserolle? Features free Wi-Fi, a flat-screen TV with free Sky channels and a complimentary bottle of mineral water. 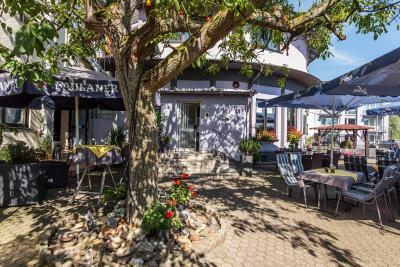 House Rules Hotel Kasserolle takes special requests – add in the next step! 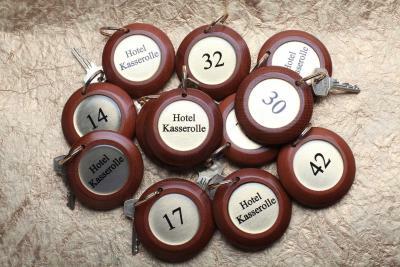 Hotel Kasserolle accepts these cards and reserves the right to temporarily hold an amount prior to arrival. 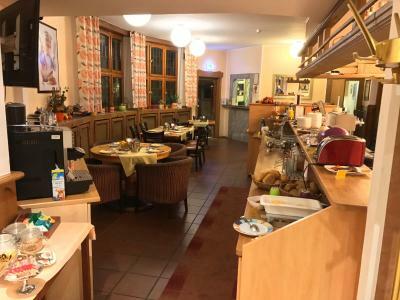 For my personal taste this was too old fashioned :-) outdated interior design and the breakfast was limited to "good old German food" - no modern, healthy options. But my co-travelers seemed to enjoy it. 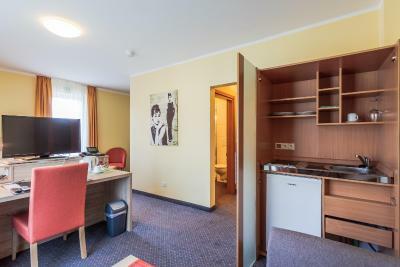 The rooms are just a bit utilitarian. American's are accustomed to extra pillows and blankets in our rooms, so that took a little bit of getting used to. There is nothing I didn’t like! The room was (much) smaller than the indicated size. The room did not have a double bed as booked, but two separate beds. One of the bed creaked loudly, waking us up frequently during the night. 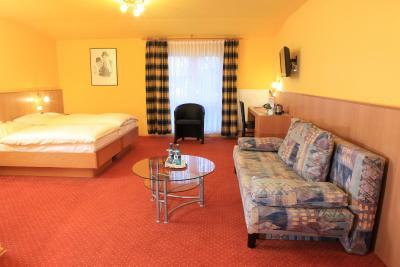 Good comfortable room, excellent service.